There are times when the party awarded the home is not able to refinance or obtain a new loan. If this happens and then the mortgage payments are not made, the lender will seek to foreclose on the property. When both parties are still listed on the note with the lender, both parties are liable to the lender for the remaining amount on the note. 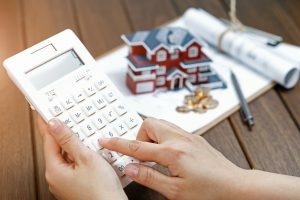 Even though one party executes a Florida quit claim deed giving his or her interest in the former marital home to the other spouse, both spouses owe the remaining amount of the loan to the lender and both parties will be included in the foreclosure action. This means that if a judgment is entered in favor of the lender, both spouses will have the foreclosure on their record and a judgment against them. Having a judgment or a foreclosure on one’s record can drastically affect one’s ability to buy another home or receive financing for other things such as a vehicle, credit card or personal loan. Higher interest rates are also a side effect of having a foreclosure or monetary judgment on one’s credit record. All too often, former spouses are summoned to court regarding a foreclosure for a house they have not lived in for years because the other spouse failed to make the monthly payments. That same former spouse will inform the court that he or she signed a quit claim deed to the other spouse as required in their final judgment for divorce. The court will not hear this argument because both parties are liable to the lender so long as both of their names are on the note and mortgage. This is why it is so important to have an experienced family law attorney in the divorce case to insure that safeguards are put into place within the divorce case to protect one’s self from the potential financial downfall of a foreclosure. The family law firm of Wood, Atter & Wolf, P.A. have that experience and strive to protect their clients from such financial misfortune. If you need legal advice and representation regarding a Florida family law matter, contact Wood, Atter & Wolf, P.A. by phone at (904) 355-8888 or online at www.woodatter.com for a consultation. At Wood, Atter & Wolf, P.A., you attorney is On Your Side – At Your Side.